You’ve made the switch from summer to fall in your mind, and now it’s time to make the switch with your nail color, too. Halloween candy and pumpkin spice everything are all the rage at the moment, but this season’s nail colors are miles ahead of the super sweet crowd. Pick the one that speaks to you, and you’ll be the trendsetter rather than the wannabe. Red is a classic nail color, and your options this fall are stunning. Look for molten, shimmering, fiery shades that morph from tangerine to bright red depending upon the light. Channel the season’s foliage with a burnt orange tone. It’s earthy and Bohemian and works exceptionally well with most any event or outfit you have in mind. And for those who find it difficult to break with tradition, you can still rock a classic red but look for one with a sheer, jelly-like finish. Metallics will be showing up everywhere this fall. 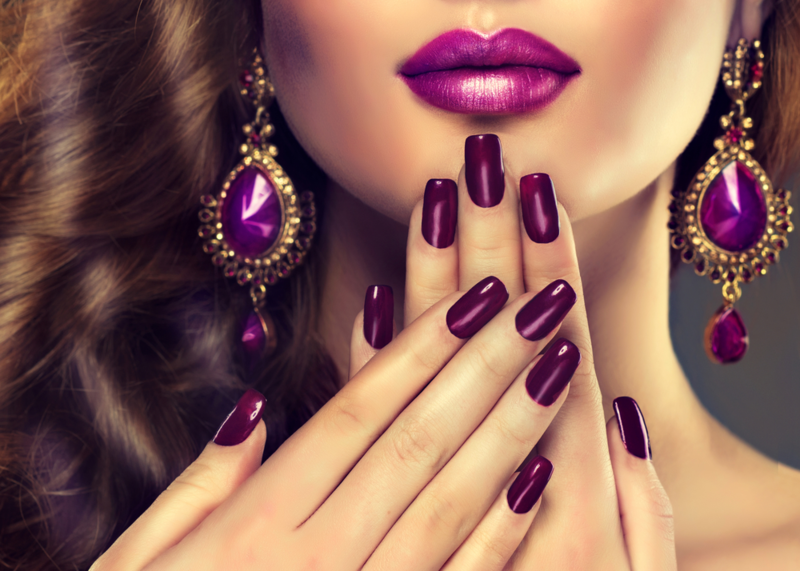 Take your classic pink manicure, swing it over to the plum side of the shade, and give it a bit of sparkle. For a more neutral take on things, look for a medium grey with just a suggestion of metallic flake. But if you want to push the metallic envelope, you can’t go wrong with a chrome manicure. Ask your technician about selections that can be buffed up to the exact level of shine that you want. And when it’s time to really sparkle, grab the unicorn by its horn – chunky flecks of glitter in a silvery blue base, and take no prisoners. Make this season the one when you take the lead. The nail technicians here at Salon D’Artiste can help you find the perfect shade for whatever your autumn calendar has in store for you. We’ve been on the forefront of day spa experiences since 1985. For an appointment, call us on 610.687.2020 or come see us at the salon at Eagle Village Shops at 205 Lancaster Ave. #2 in Wayne. Want to make an appointment instantly? Use our app – it’s available through the Apple Store, GooglePlay, or Amazon.